The best, most affordable Master’s of Statistics degrees are ones that meet a student’s professional and academic goals without draining his or her bank account. Online and on-campus graduate statistics programs are available across the country, which is the reason why researching schools and programs is so imperative. Regardless of which program you choose, an online master’s degree in data analytics or statistics can be a significant career boost if you are interested in numbers and big data. Throughout the course of the program, students learn how to gather and learn from data, create experiments, analyze information, and make estimates. In the following article, we will explore 25 of the top schools that offer online master’s degrees in statistics based on a specific set of ranking methodology. This ranking list was developed with the goal of helping students considering a degree in statistics choose the school that best meets their academic and professional goals. Rankings are based on information from each school’s website, U.S. News & World Report, and the National Center for Education Statistics College Navigator database. We conducted a search for Master’s in Statistics degrees and narrowed down the initial pool of 40 institutions into the top 25 schools. We analyzed each institution based on factors such as tuition information and national rankings based on the following criteria. Students who consider pursuing a graduate degree in statistics should also be aware of how any given institution they are thinking of attending compares to other similar schools in the U.S. U.S. News & World Report, a nationally recognized agency that is responsible for ranking academic institutions, can be an invaluable resource for analyzing a school based on a number of criteria. For the purpose of this ranking, we awarded points for its “Best Mathematics Program” category. Georgia State University’s MS in Mathematics offers six degree concentrations. Georgia State University’s College of Arts & Sciences offers an affordable two-year MS in Mathematics degree that provides graduate-level education in statistics, applied mathematics, analysis, and algebra. Graduates of this low cost masters degree program are prepared for positions in college teaching, business, government, industry, and advanced study in mathematics. Students may pursue a traditional track or select from one of six possible concentrations: statistics and allied field, statistics, scientific computing, discrete mathematics, biostatistics, and bioinformatics. The allied field, statistics, and biostatistics concentrations are designed for students pursuing careers as professional staticians in government, business, or industry, while the bioinformatics track prepares bioinformaticians with a broad background in applied areas for direct placement in the same sectors. Montana State University offers two degree tracks for the MS in Statistics. The affordable MS in Statistics degree at Montana State University provides students with a solid background in the theory of statistics as well as hands-on experience in the application of statistics to real-world issues. Students must complete 14 semester credits in required courses in statistical consulting, linear statistical models, and intermediate mathematics statistics. Other sample courses include statistical quality control, biostatistics, mixed effects models, time series analysis, and experimental design. Students of this low cost master’s degree program must choose from either a thesis track, consisting of 10 thesis credits and a defense in addition to the required coursework, or a writing project, consisting of one or two additional statistics credits and a seminar on the writing project. Both tracks require the successful completion of a comprehensive examination, and graduates are prepared for academic, government, business, or industrial employment or for further graduate work. The MS in Applied Statics requires 35 credits in statistical methodology from NMSU. The New Mexico State University College of Business confers an affordable MS in Applied Statistics that provides extensive experience and training in statistical consulting in a hands-on, practical manner. Graduate students are encouraged to specializing in a particular subject matter, and coursework provides valuable experience using statistical software and computers. Students must complete a minimum of 35 credits in statistical methodology, and courses are broken down into categories such as methods, theory, consulting, and electives. Faculty members have ongoing and past experience with researchers in disciplines outside of statistics such as engineering, education, psychology, fishery and wildlife, agriculture, and biology. The MS in Applied Statistics from West Chester University emphasizes a flexible curriculum. West Chester University of Pennsylvania offers a low cost MS in Applied Statistics — a state-of-the-art program that brings together communication skills, scientific research, computer science, and statistical theory. The affordable master’s degree program emphasizes a flexible curriculum, and coursework can be applied to a number of industries such as pharmaceutical product development, business, health sciences, psychology, computer science, mathematics, and biology. Areas of study include experimental analysis and design, mathematical statistics, statistical computing and data management, and linear models. Students may choose from a track in either biostatistics or business and marketing analytics, and graduates are able to take advantage of research and paid internship opportunities. Bowling Green State University offers multiple graduate degrees in mathematics and statistics. Bowling Green State University offers several different affordable graduate degrees in the field of mathematics and statistics through its College of Arts and Sciences. First, the MA program prepares students for careers in finance, economics, operations research, applied mathematics, computer science, statistics, and mathematics. Students can choose from tracks in mathematics, statistics, or applied mathematics/scientific computation. A low cost MS in Applied Statistics is also available that prepares graduates for careers as a statistician in government, industry, or business. The final two programs include an MS in Analytics and a MA in Teaching in Mathematics. The MA in Applied Mathematics from Eastern Kentucky University requires 30 credit hours of coursework. The Department of Mathematics and Statistics at Eastern Kentucky University offers a 30-credit-hour affordable MA in Applied Mathematics degree. Although students may choose a concentration in either secondary mathematics or applied mathematics and statistics, all students, regardless of track, must complete an applied mathematics capstone and take courses in mathematical statistics, combinatorial optimization, and applied linear algebra. As part of the core, students may choose between Statistical Methods Using SAS and Technology for Teaching & Research. This low cost mater’s degree program is structured in a convenient hybrid format that includes three Saturday meetings per semester, and students benefit from small classes with individualized attention as well as a caring, experienced faculty. The MS in Statistics from San Jose State University requires 36 credit hours of coursework. 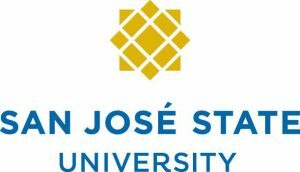 The affordable MS in Statistics, offered by the Department of Mathematics and Statistics at San Jose State University, is designed for students who wish to become practicing statisticians in industry, government, or business. A total of 36 semester units of coursework are required for this degree, including classes in probability theory, programming in SAS, mathematical statistics, and applied mathematics, computation, and statistics projects. Students must complete 21 units of core courses, 12 units of electives, and a three-unit course in statistical consulting. Students may choose to complete a specialized study project or a statistics internship as part of the course requirements. The MS in Statistics from Sam Houston State University requires 37 credit hours of coursework. Sam Houston State University confers a 37-hour affordable MS in Statistics that is designed to produce professionally competent statisticians who will be prepared for positions in public service, industry, and business. This low cost master’s degree program also provides the necessary academic foundations needed to pursue further graduate study at the doctoral level, and students may choose to complete the program with or without a thesis. Each degree candidate must complete an oral comprehensive examination, and both the thesis and non-thesis track consist of coursework in areas such as software for statistical sciences, design and analysis of experiments, applied multi-statistical analysis, theory and application of probability and statistics, and regression modeling and analysis. The MS in Applied Statistics from CSU Long Beach requires 30 credit units of coursework. Students pursuing the affordable MS in Applied Statistics from California State University, Long Beach must complete a minimum of 30 graduate- and 400-level units in statistics, including courses in experimental design, statistical inference, and regression analysis. Other areas of study include survey sampling, statistical quality control, nonparametric statistics, multivariate statistical analysis, and computational statistics. Graduate students have three options for completing this low cost master’s degree program: pass two comprehensive written examinations in Experimental Design and Statistical Inference, write a thesis in statistics and orally defend it, or complete a non-proprietary statistical project with an industrial company under the supervision of a faculty statistics advisor, write a final report, and orally present the project and outcomes to the department. The MS in Data Analytics from the University of Houston Downtown requires 36 credit hours of coursework. At the University of Houston, Downtown, the Department of Mathematics & Statistics provides students with an affordable education responsive to the expanding uses of statistical and mathematical techniques in industry, government, and business. Graduate students may pursue a 36-semester-credit-hour MS in Data Analytics that provides students with a broad education in data presentation, data analysis, digital data management, digital data acquisition, and advanced statistics. Students complete 27 hours of foundation courses as well as six hours of interdisciplinary application courses and either an internship experience or capstone. In the final semester, graduate students have the opportunity to engage in real-world applications or research with faculty members. The MS in Statistics from the University of Akron offers two degree tracks. The University of Akron confers a low cost MS in Statistics program that requires applicants to complete linear algebra, three semesters of calculus, and one semester of applied statistics prior to seeking admittance into the program. The core curriculum consists of courses in regression, experimental design, statistical data management, advanced mathematical statistics, and probability and statistics. Students may choose from either a 30-credit thesis track or a 33-credit non-thesis track. Both tracks require the completion of a course in advanced topics in statistics, but the remaining program requirements will be based on either the development and presentation of a thesis or a master’s paper and additional elective graduate credit-hours. Stephen F. Austin State University offers two master’s degrees in mathematics. The Department of Mathematics and Statistics at Stephen F. Austin State University offers an affordable MS in Mathematical Sciences degree with an emphasis in either mathematics or statistics. The mathematics emphasis consists of coursework in advanced topics, real variables, linear algebra, complex variables, abstract algebra, and mathematical statistics, while the statistics emphasis consists of coursework in statistical analysis, applied time series, nonparametric statistics, multivariate analysis, regression analysis, and stochastic processes. Students may complete a thesis as part of their program of study, and a culminating comprehensive oral and/or written exam is required in the final semester. A low cost master’s degree in school mathematics teaching that prepares students for the teaching profession in secondary and middle schools is also available. The MS in Statistics from the University of Texas at El Paso requires 36 credit hours of coursework. The University of Texas at El Paso offers an affordable MS in Statistics degree with a major in mathematics that is available as both a thesis and non-thesis option. The thesis option requires 24 hours of coursework and a six-credit-hour thesis. Those who choose the non-thesis track will complete 36 hours of coursework. All students must complete comprehensive written examinations, although students writing a thesis may be eligible to waive a portion of the examination. Required courses for both options include topics in multivariate data analysis, statistics in research, mathematical statistics, linear algebra, and graduate research. 12. California State University, East Bay – Statistics, M.S. The California State University East Bay offers two Master’s in Statistics. The affordable MS in Statistics offered by California State University, East Bay includes optional concentrations in mathematical statistics, data science, applied statistics, and actuarial science. All students are expected to master a variety of applied probabilistic, computational, and statistical techniques as well as the theoretical foundations upon which these techniques are based. Students must complete 32 units of graduate work, including core courses in statistical theory, linear and logistic regression, analysis of variance models, statistical methods, bootstrapping methods, and probability and statistical theory. A two-unit capstone is required for graduationfrom this low cost master’s degree program, and a master’s degree in biostatistics is also available. The MS in Statistics from the University of Central Oklahoma requires 36 credit hours of coursework. The affordable master’s degree in applied mathematical science in statistics from the University of Central Oklahoma ensures sound mathematical training while concentrating on the development of widely applicable intellectual skills. The 36-hour curriculum consists of 24 hours of required coursework in areas such as nonparametric statistics, computer applications, applied regression analysis, mathematical statistics, and experimental design. Students are also introduced to graduate research, operations research, and advanced calculus. As part of the program requirements, students must complete a graduate project or graduate thesis, or they may choose to take an additional mathematics or statistics course. Applied Mathematical Science – Statistics, M.S. South Dakota State University offers multiple mathematics graduate programs. The focus of the affordable MS in Statistics program at South Dakota State University is the development of sophisticated statistical models and how students can implement them into high-performing computing platforms. Students can expect a curriculum that features a balance of theory, computation, and application with a particular emphasis in the areas of informatics/biostatistics and analytics. Areas of graduate student and faculty research activity include general statistics, forensic statistics, business and financial analytics, biostatistics, and bioinformatics. SDSU also offers inexpensive master’s degrees in mathematics and data science as well as a doctoral degree in computational science and statistics. Computational Science and Statistics Ph.D. The MS in Statistics from California State University Fullerton requires 30 units of coursework. Students considering the affordable MS in Statistics degree from California State University, Fullerton will benefit from a state-of-the-art curriculum that aims to serve the growing demand for professionals with training and knowledge in quantitative analysis and data science. This low cost master’s degree program consists of 30 total units of study in areas such as statistical consulting, Bayesian statistics, multivariate analysis, categorical data analysis, applied biostatistics, statistical computing, and probability and statistics inference. Students may choose to write a master’s thesis and complete an additional course in lieu of the otherwise required six units of special topics courses. Qualified students may also take advantage of teaching associate opportunities. Minnesota State University Mankato offers multiple graduate degrees in mathematics and statistics. The College of Graduate Studies and Research at Minnesota State University, Mankato offers four affordable graduate degrees in mathematics and statistics. The low cost MS in Applied Statistics is a 34-credit program that includes coursework in experimental design, regression analysis, linear models, and nonparametric methods. The cheap MS in Mathematics and Statistics consists of either a thesis plan or an alternate plan paper, both of which require 34 credits of coursework in areas such as numerical analysis, theory of statistics, linear algebra, and numerical analysis. An inexpensive MA in Mathematics and an MA in Mathematics Education are also available. North Dakota State University offers two graduate degrees in statistics. North Dakota State University offers alow cost master’s degree in applied statistics that requires 32 semester credits of coursework. An oral defense of a research-based paper or thesis is also required for graduation. 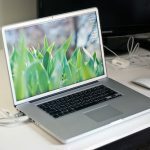 Students may also pursue a joint MS in Computer Science and Statistics by completing 42 semester credits, including 18 credits in each of the two areas, as well as a research-based thesis or paper. Topics of study include using statistics in sports, applied regression models, applied survey sampling, applied spatial statistics, advanced inference, actuarial statistical risk analysis, biostatistics, probability and mathematical statistics, experimental design, and statistical SAS programming. The MS in Applied Statistics from Western Illinois University requires 30 credit hours of coursework. Western Illinois University confers a 30-semester-hour affordable MS in Applied Statistics and Decision Analytics designed to provide students with a firm foundation of statistical modeling and analysis commonly used in many fields, including social science, business, government, healthcare, technology, science, and education research. Throughout this low cost master’s degree program, students are trained on industry-standard software packages in order to gain and further develop modern analytical skills. 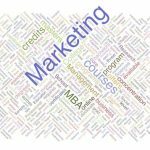 Core courses cover topics in data visualization, applied data mining, categorical data analysis, business analytics and forecasting, and management science techniques. Students must complete two semesters of department seminars and an applied statistics and decision analytics assessment. Exit options include an internship and one additional elective, a thesis, or an econometrics class and one additional elective. The MS in Statistics from Texas Tech University requires 36 credit hours of coursework. Texas Tech University confers an affordable MS in Statistics degree with a thesis option for graduate students seeking an advanced degree. This inexpensive master’s degree program consists of 36 hours of coursework that includes six hours of credit for the master’s thesis; a defense is mandatory. Required courses cover areas such as intermediate mathematical statistics, regression analysis, experimental design, and theory of linear statistical models. Students must also take two courses in topics such as biostatistics, nonparametric statistical inference, statistical multivariate analysis, stochastic processes, time series analysis, or statistical computing and simulation. The University of Wyoming offers multiple graduate degrees in mathematics and statistics. The Department of Mathematics and Statistics at the University of Wyoming offers an affordable master’s degree in applied statistics that comes in two forms: Plan A involves a written thesis, and Plan B features a project. Both plans involve a verbal presentation and defense as well as 36 credits of study. The program gives students a broad and extensive background in written and oral presentation skills, data analysis, and statistical methods. Required courses cover areas such as the fundamentals of sampling, regression analysis, design and analysis of experiments, and the mathematical theory of probability. Graduates are prepared to work as project managers, statistical analysts, and data management specialists within a broad range of research organizations. Both a master’s and a doctoral degree in mathematics are also available. The Master’s in Statistics from Brigham Young University requires 27-30 credit hours of coursework. Students pursuing the affordable Master’s degree in Statistics from Brigham Young University, Provo are required to complete 27 to 30 hours of coursework as well as either three hours of a project or six hours of a thesis. All students must successfully complete a comprehensive written examination and orally defend their project or thesis. Throughout this low cost master’s degree program, students develop skills in the areas of software competency, research and communication, and statistics theory, including statistical inference, probability, and theory of linear models. Students may also choose to combine the master’s degree with a Bachelor of Science in Statistics as part of an integrated program. The MS in Statistics from San Diego State University requires 31 units of coursework. San Diego State University offers an affordable MS degree in Statistics that gives students practical experience with applied methods, including statistical consulting and statistical computing, preparing them for employment as well as graduate studies in statistics and biostatistics. Students may pursue either a general M.S. in Statistics degree or a concentration in biostatistics that emphasizes statistical applications and methods in the medical, health, and biological sciences. Students must complete a minimum of 31 units of coursework, and they may choose between a thesis option and a non-thesis option. Students of this low cost master’s degree program who do not complete a written thesis will instead be required to pass a two-part comprehensive examination. The MS in Statistics from Texas A&M University requires 36 credit hours of coursework. 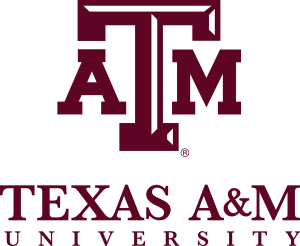 A student seeking an MS degree in Statistics from our most affordable program, Texas A&M University, College Station, may choose from either a 34-credit thesis option or a 36-credit non-thesis option. Areas of study include statistical analysis, statistics in research, transportation statistics as well as topics in statistical computations, regression analysis, and methods of statistics. In addition, all graduate students may further focus their degree by choosing to pursue either a broad-based plan that provides a generalized study of statistics or an emphasis in areas such as computational statistics or biostatistics. An applied emphasis is also available for those following the non-thesis track. A one semester-credit-hour consulting experience and an oral departmental examination are required for program completion. 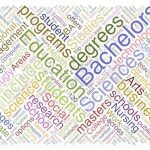 What are the Career Options for a Master’s in Statistics Degree? Organizations and companies in all industries are collecting more information than ever before. However, organizing, interpreting, and applying data can prove challenging for even the most sophisticated businesses. Data scientists and statisticians extrapolate meaning from raw data using data analytics programs and algorithms. As naturally critical and inquisitive thinkers, these professionals challenge assumptions, ask questions, and identify trends that can be difficult for the average person to see. What Will You Learn in a Master’s in Statistics Program? Some graduate students may be required to be a thesis or complete an internship or fieldwork in order to graduate. Those who have completed a master’s in statistics degree may go on to careers in statistical consulting, market research, or financial planning. What is the Difference Between an M.S. in Statistics and an M.S. in Data Science? Professionals interested in receiving advanced training in model-building and gaining a thorough understanding of the theoretical foundation in statistical theory are well-suited to obtain an M.S. in Statistics. Since this field has its roots in statistical theory, those seeking this degree will inevitably learn data science concepts. An M.S. in Applied Statistics program usually offers courses that provide opportunities for students to acquire proficiency in programming languages such as Python, R, and SAS. Students also learn how to analyze different types of data and will have the chance to apply what they have learned to real data sets. This degree produces experts who can provide organizational leadership with a thorough and validated data analysis review. On the other hand, earning an M.S. in Data Science is ideal for professionals who are interested in learning how to mine data in order to make data-driven decisions and predictions, likely in a business environment. Course offerings included in these programs teach students how to extract information from large volumes of data in order to improve business acumen and weed out errors. The M.S. in Data Science degree tends to provide students with the ability to recognize patterns in data as well as how to manage, continually reorganize, and obtain data. This degree produces students who can make sound decisions and predictions based on the validity of collected data, whereas an M.S. in Statistics teaches students to understand data associations and relationships by testing statistical theorems. Is Accreditation for a Graduate Degree in Statistics Important? Regional accreditation is the process by which outside organizations conduct quality assurance reviews for colleges and universities as well as the programs they offer. This helps to ensure that students are receiving the best possible education in order to prepare for employment after graduation. Accreditation focuses on areas such as faculty, testing methods, course content, student learning outcomes, mission statement, tuition, and more. Attending an accredited school also means that the process of transferring from credits from another institution is relatively easy, and many universities and colleges will only accept credits from other accredited schools. Students who are considering financial aid may also want to look for an accredited program as federal grants are only available for accredited schools. 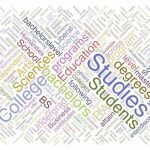 Finally, accreditation plays a key part in seeking employment since many prospective employers will not recognize a degree unless it was provided by an accredited postsecondary institution. If you want to enter the field of statistics and data science, earning a master’s degree can open many opportunities. Although some entry-level positions accept applicants with a bachelor’s degree, many employers prefer to hire candidates with a minimum of a master’s degree. In addition, completing an internship while pursuing your degree can give you a competitive advantage over other applicants. 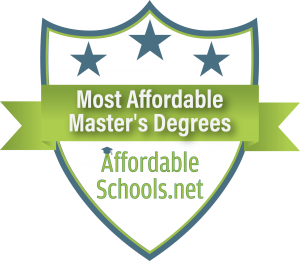 Whether you are switching careers or moving from a bachelor’s program, we hope that our list of the top 25 most affordable Master’s of Statistics degrees can help to get you started as you pursue higher education and reach your professional goals. 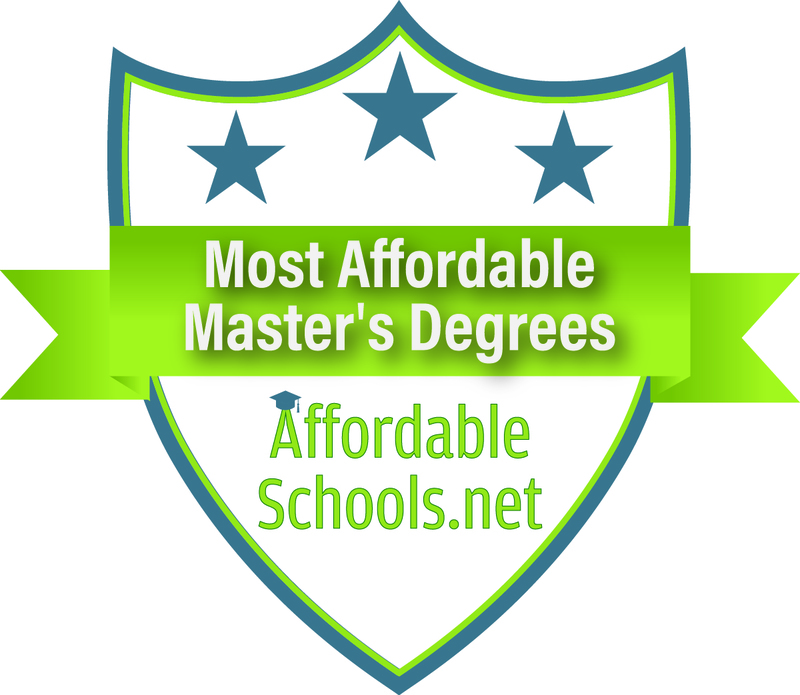 This concludes our ranking of the Top 25 Most Affordable Master’s of Statistics Degrees for 2019.